Cengage Learning is pleased to announce the publication of the fifth edition of PLEASING THE COURT: A MOCK TRIAL HANDBOOK. Authored by a successful college coach, this handbook may be used either as a text in schools, colleges and universities that offer mock trial for credit or as an aid to students in institutions that offer mock trial purely as an extra-curricular activity. Although especially useful for new coaches and schools, this guide also provides insights for veteran mock trial students. Learn tested and effective strategies for mock trial attorneys and witnesses. Identify elements of good openings, closings, directs, and cross examinations. Find how to conduct a voir dire, make an offer of proof, raise and respond to objections, and prepare and introduce exhibits. 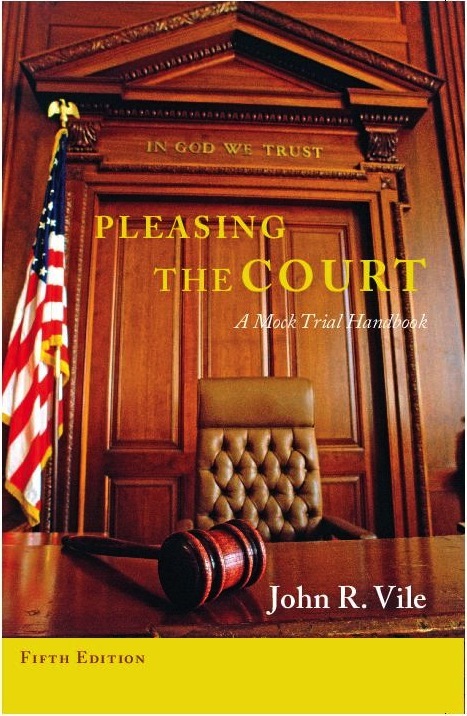 Pleasing the Court is authored by Dr. John R. Vile, Dean of the University Honors College and a long-time mock trial coach at Middle Tennessee State University. Vile has published numerous other books and is a member of the Board of Directors of the American Mock Trial Association. Pleasing the Court is available directly from Cengage Learning. Orders may be placed by e-mail at higheredcs@cengage.com, by phone at (800) 354-9706 and by Fax at (800) 487-8488. A portion of each sale goes to AMTA. I talk fast. How do can I slow down? How do I use my adrenaline buzz in a positive way? How can I break the habit of saying um? Most importantly, this book will teach you techniques that will allow you to remember with confidence what to say to the judge, the jury, and the witnesses. 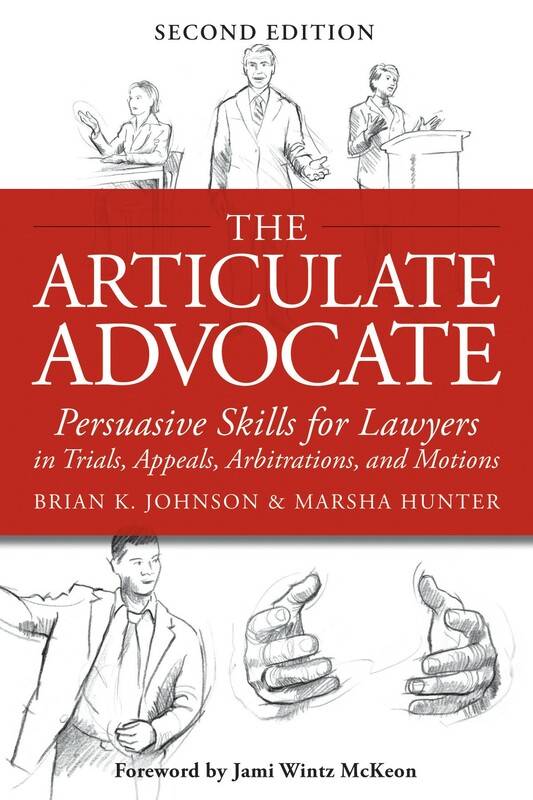 "The Articulate Advocate is an extremely valuable tool for mock trial coaches at all levels. It explains what the common pitfalls in public speaking are, why they occur, and then teaches how to spot those issues in students' deliveries. But the book goes one step further and also helps coaches devise exercises to resolve the speaking issues their students are having. In that sense, I urge every mock trial coach to read this book as it is a great asset." A portion of each sale made through the link below goes to AMTA. For more information, contact us here. The AMTA Store is the only place to purchase the official graduation cord of the American Mock Trial Association. Cords can be purchased in any quantity ($12.00 per cord). If cords are purchased in sets of 10, you will get 10 cords for the price of nine. The official AMTA graduation cords are maroon, purple, and royal blue. After items are added to the PayPal cart, the quantity can be adjusted into any number. All transactions are final. No refunds. Transactions will appear as "PayPal".